The private files area is for holding files, for use in any of your courses, that you wish to remain inaccessible by students or other course developers or teachers. This page instructs you on how to add files to the private files area, how to use private files in a course, and how to organise private files. 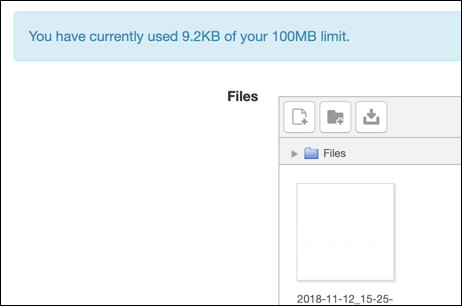 Put a file in the private files area if you want to keep it inaccessible to all other Moodle end-users. It will still be visible to the Moodle administrator. You can link to a single file in your private files from one or more of your courses. This, together with increased security, is the main advantage of placing files here. 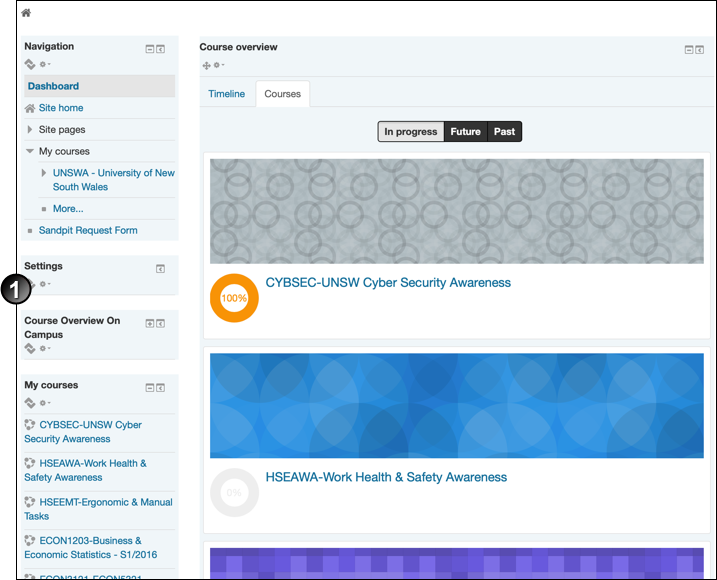 Navigate to your dashboard by logging on to Moodle. Turn page editing on by clicking the customise this page button on the top-right of the page. 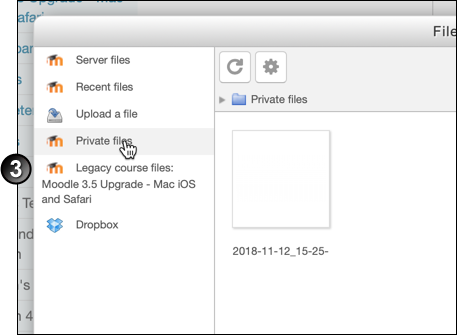 Add the "private files" block by clicking "add a block" and selecting "private files"
Navigate to the My private files page by clicking on Manage private files in the Private files block. On the My private files page, drag and drop the file into the Files box. The file displays in the Files box. Click Save changes. Navigate to an activity that allows file uploads, e.g. Moodlerooms Forum. In the upload section of the activity, click Add file. Click Private files on the left-hand side, and select the file you want to upload. 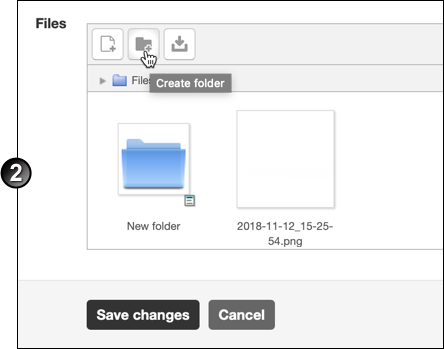 To use a private file within one of your courses, go to the Legacy course files page and upload the file from the Private files area, before inserting it into the course from the legacy course files using the File picker. 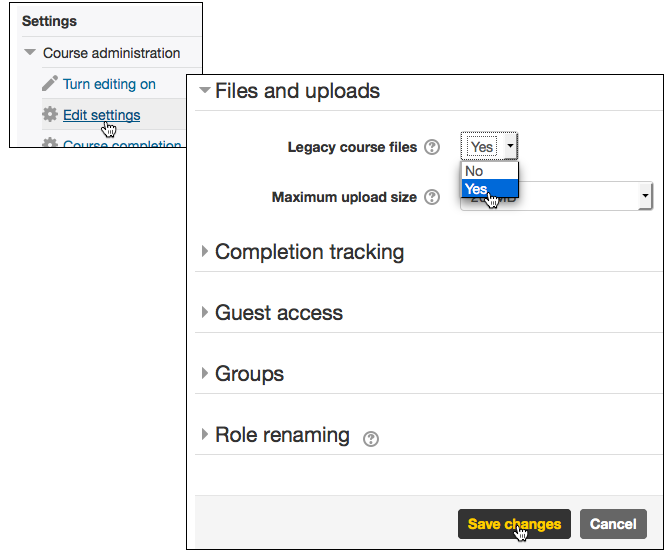 In the Settings block, under Course administration, does Legacy course files display? If yes, click it and continue to the next step. On the Edit course settings page, into the Legacy course files field, select Yes. Click Save changes. Repeat step 1. On the Legacy course files page, click Edit legacy course files. 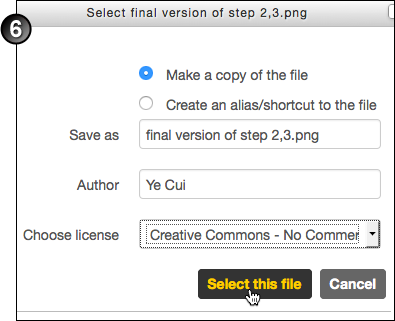 On the legacy course files editing page, in the files box, click Add. In the File picker, click Private files. In the file upload window, choose Make a copy of the file, complete the fields as necessary and click Select this file. The uploaded file displays on the Legacy course files page. Click Save changes. The file is now uploaded to the course-specific files area. You can link it to your course in several places. 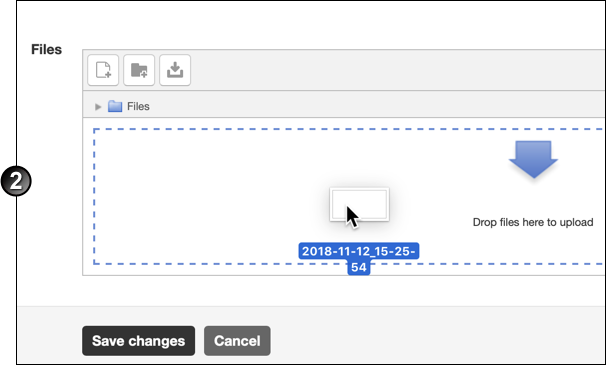 When you edit the file and upload a new version (with the same filename) to the legacy course files, users who click the link will see the updated version. 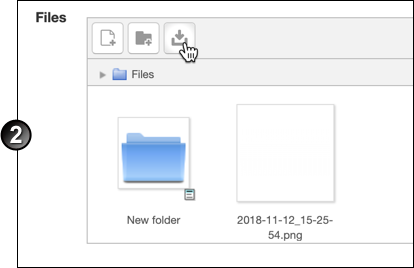 In the Private files page, you can check the amount of space left in your Private files storage through the tooltip shown below. Navigate to the Private Files page. Add new files to the folder or Create folder as needed. 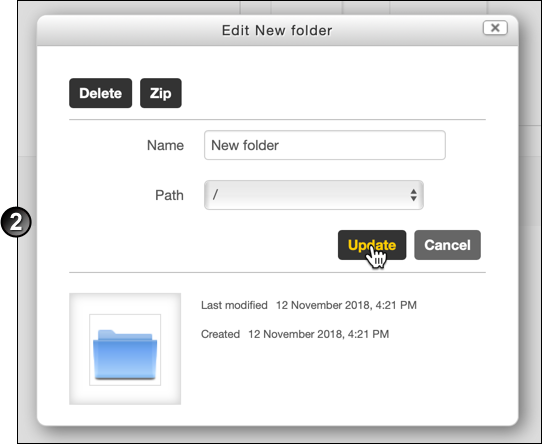 Click any folder icon to show a pop-up window where you can delete, zip, rename, move or add a path for the folder. Click Update. 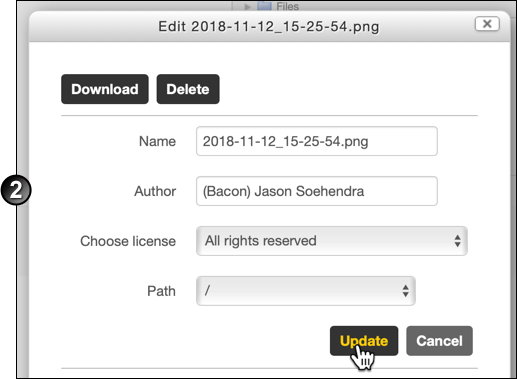 Click any file icon to show a pop-up window where you can download, delete, rename, add author/license/path details and click Update. Click the Download All button to download all the files in the upload box. Click Save changes on the My private files page to save your changes.